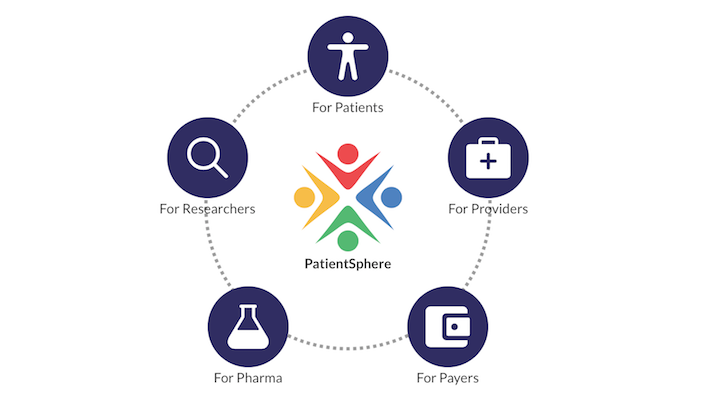 Users of the digital health platform Open Health Network are now getting a chance to cash in on their health data with the platform’s new feature, called PatientSphere. The new feature employs blockchain technology to let patients monetize their health data. The idea is to connect companies or research institutions with folks who fit the criteria they need for different studies or analytics. Users can upload medical data from their EHR, health apps, wearables and programs like Apple HealthKit and Google Fit. In addition to getting paid, the platform is also a way for patients to share their data with their own providers and health insurers. For example, if a pharma company is doing a study on middle-aged men who have undergone a heart attack, PatientSphere can send the study out to the people who fit into this demographic. Then users can decide to opt into the study. The actual contract and terms are up to the third party and agreed upon by the participant. While money is often exchanged in these interactions, the payment can also come in the form of gift cards and other products. Kanzaveli said health systems and insurers can also use the platform — for insurers, to help incentivize healthy behaviors and conduct research, and for health systems, to help patients with adherence and track patient behavior. Gathering a complete picture of a patient’s health in one place can be difficult due to EHR interoperability. This feature allows the patient to be in control of their data while linking all of their disjointed records together in one platform. This has the potential to give researchers and other stakeholders more insight into a patient's experience, as well as a place for patients to keep all of their data. This is not the only startup helping participants get paid for their data. In July Embleema emerged out of stealth mode to launch its blockchain personal health record platform designed to help link patients to life science researchers. Additionally, HealthWizz is now providing channels for users to sell their health records to researchers and pharma companies.